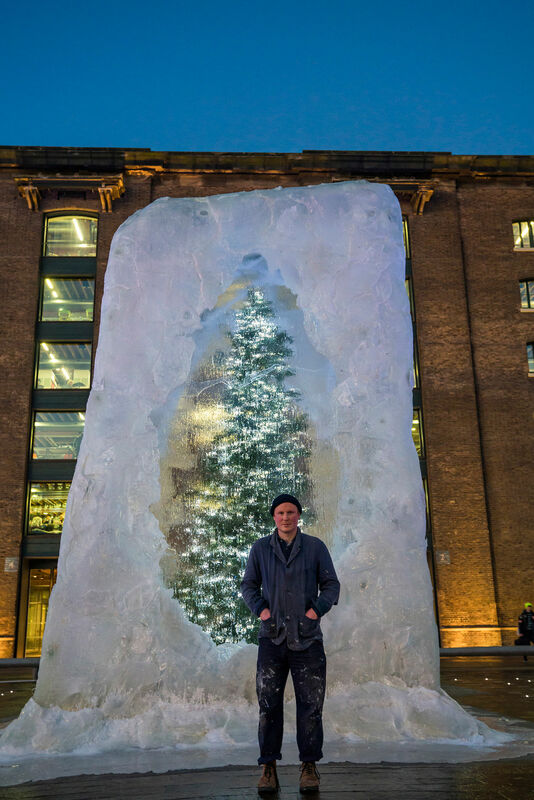 A Christmas tree inside a giant ice cube doesn’t seem a very plausible combination, but it’s exactly what British artist and designer Alex Chinneck has installed at London’s Kings Cross. 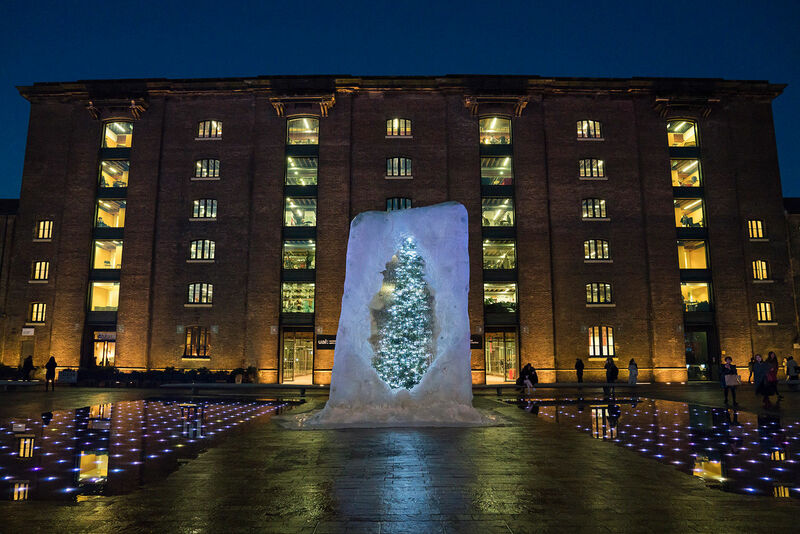 The Christmas tree of Alex's installation, Fighting fire with ice cream, stands at 17-feet tall and is decorated with 1200 lights. 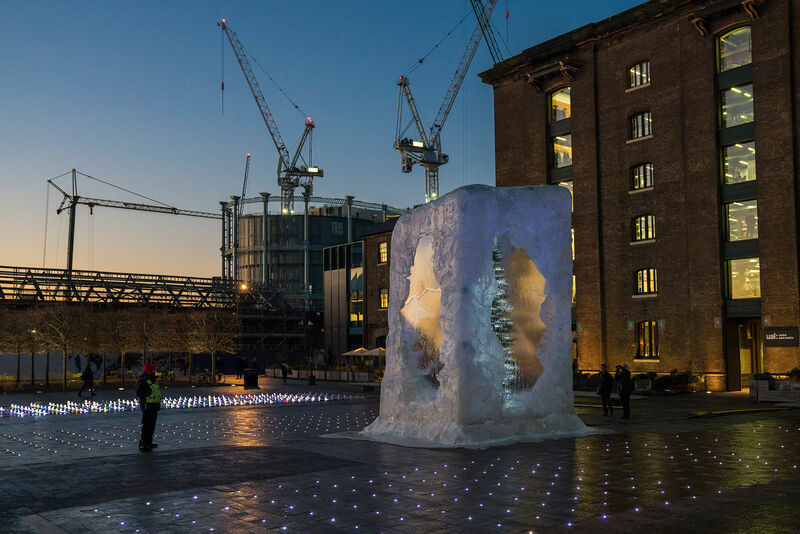 This is enveloped by a seven-metre ice cube in Granary Square, outside UAL Central Saint Martins (CSM), where it will remain until January 6. Check out our pick of the best design and illustration from the CSM grad show in 2015, 2014 and 2013. The installation is as tall as a two-storey house and has been carved and cast from two tonnes of resin. A surrounding ‘puddle’ made to look as though it melts into the Square’s fountains was made from over 550 pounds of clear wax. Alex says he created the installation with everyone in mind. 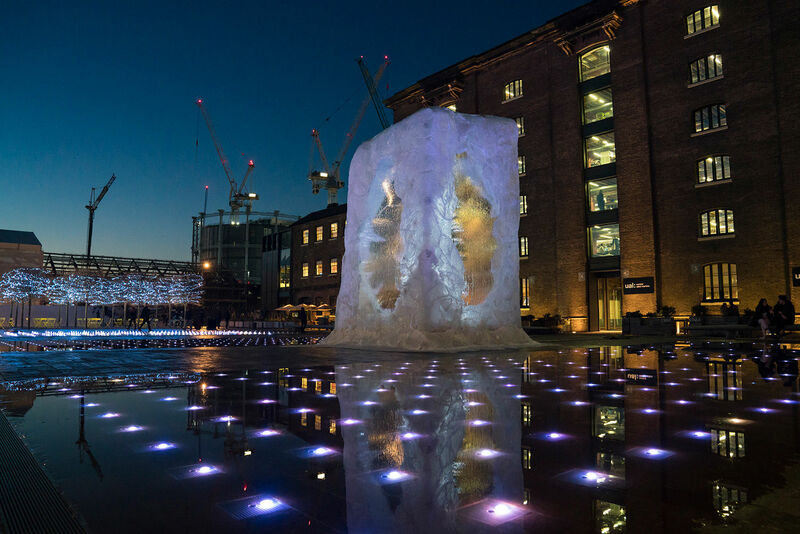 Alex is known to produce ambitious and large public artwork, such as a two-storey house made of wax bricks that melted over 30 days and a 35-metre upside down electricity pylon balancing at 30 degrees for London’s Design Festival. Check out photos of the pylon in our story London Design Festival 2015: here’s what you have to see. Previous work of Alex’s also includes a stone building that appeared to hover on Covent Garden Piazza. He brings together disciplines of art, architecture, engineering and construction, producing sculptures that compliment and elevate the place in which they stand. A surrounding ‘puddle’ made to look as though it melts into the Square’s fountains was made from over 550 pounds of clear wax.